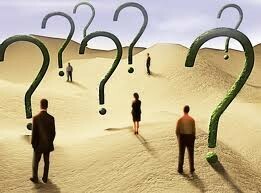 On the following pages you will find long awaited answers to the following urgent questions. Some of these questions have never even been asked since the answer seemed so hopeless. [Q1] Why are we here? [Q2] What is the purpose of our life? [Q3] a) Who is God? b) How great is God? c) Were we created or did we evolve? [Q4] Why do we need to pray? Does God need our prayers? [Q5] a) Why is the universe so big, b) so crowded with heavenly bodies and c) yet so lifeless? [Q6] What is death like? [Q7] Where are we going? Is there life after death? [Q8] a) What is heaven like? and b) What is hell like? [Q9] Why are humans the only species with free will and rational thinking? [Q11] Why does God not destroy Satan? [Q12] Who is responsible for pain and misery? Why did God allow evil? [Q13] Why is there misery, chaos, famine and sickness? [Q14] Is there a soul? [Q15] Who were Adam and Eve? [Q16] Who are spirit creatures? Are there evil spirits? [Q17] Why did God send scriptures and messengers? [Q18] Why can we not see God? [Q19] What is the role of the animals, the trees etc.? [Q20] Why some prayers go unanswered? [Q21] What is the age of responsibility? [Q22] a) What are angels? b) Why can we not see them? [Q23] Where do negative thoughts come from? [Q24] What is the secret of perfect happiness? [Q25] Who were Adam, Noah, Abraham, Moses, Jesus, Muhammad, Buddha etc.? [Q26] When will this world end? [Q27] Which religion is the right religion? [Q28] Why did God wait all this time?